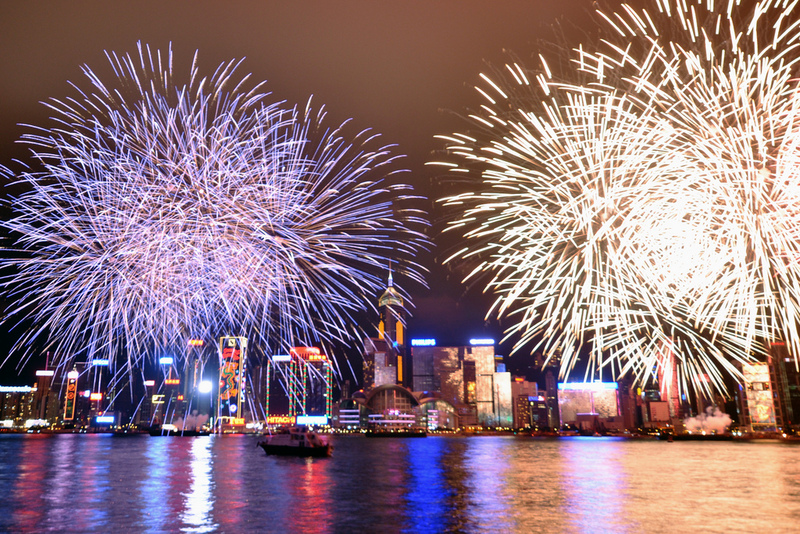 Charter a private jet to Hong Kong, known as the “Pearl of the Orient”, one of the Four Asian Tiger economies, and a popular destination for both leisure and business flights. Hiring a private jet to/from Hong Kong International Airport (VHHH, HKG) is the best way to get in and out of the city, and our team provides the highest standards in executive and leisure air travel. Air Charter Advisors offers on-demand private jet charter service to/from Hong Kong. And, we’re not limited to any one fleet—we have access to thousands of Wyvern-certified private jets, turbo-props and helicopters around the world, and we’re confident we can connect you to the perfect aircraft for your flight, whether you’re booking an international or domestic private jet charter. We offer on-demand, pay-as-you-go private jet charters to/from Hong Kong with no long-term contracts, hidden charges and or membership fees. Enjoy competitive rates on sleek, modern aircraft in compliance with our safety standards, some of the highest in the industry. We only use FAR Part 135 or 121 (or foreign equivalent) private aircraft for private flights to/from Hong Kong, and we require pilots to hold a high level of experience in the specific aircraft they’re piloting, and never pilots fresh out of flight school. When flying private with our Hong Kong Air Charter Advisors, clients enjoy maximum levels of safety, anonymity and comfort. We specialize in delivering VIP service for all of our national and international flights, and our reputation for safety has earned us repeat business with celebrities/VIPs, U.S. Governmental Agencies, the United Nations, NGOs and C-level Executives from Fortune 500 companies. Give our team a call 1-888-987-5387 or request a quote for your private flight to Hong Kong. Enjoy the working with an air charter company you can trust, and ACA will become your local and global aviation solution for luxury air charters, private plane sales & acquisitions, and aircraft management – consider us your one-stop shop for private jet charter Hong Kong. Private jets flying to Hong Kong can arrive using one of the following private jet airports. To the uninitiated, Hong Kong can seem a bit overwhelming. There really is a lot going on in such a small portion of land. It’s just a little Island off the coast of China, but you would never guess it while you’re there. It’s everything that a mega city should be – sprawling, diverse, chaotic, and surprisingly efficient. It consistently ranks #1 in the world for best public transportation, so make sure you get your Octopus Card when you first arrive; it really is the best way to get around. As far as the best way to get there goes, that’s a different story. Everyone that visits Hong Kong comes back looking like they just got off of a motorcycle, or got struck by lightning or went skydiving. It’s a transformation that only makes sense if you’ve seen the Hong Kong bomb that is LKF, or if you’ve ridden the Star Ferry and hiked the Ngong Ping to the Tung Chung. Honk Kong is work hard play hard, it’s a constant buzz, and it’s probably just about the best private flight destination in the world. General consensus in Hong Kong is that you work hard to get what you want. People there are consistently working twelve and thirteen hour shifts, trying to get overtime to pay for their next investment or purchase. It’s a great scene for business until the evening hits — at about 6pm, the city lets its hair down and chaos unfurls. The nine-to-fivers erupt from their offices and hit the town like the apocalypse is coming. That same work hard mentality from earlier in the day carries on into the night; people try to fit as much fun into the remaining hours of the day as they can. This is where that “struck by lightning” effect comes from, and it’s a really wild ride if you’re up for it. This city is a constant explosion fueled by tech startup dreamers, bar-hopping salarymen, and gobs of money. Wow, is Hong Kong expensive! But there’s no doubting that it’s worth every single penny. It’s 24 hours a day and 7 days a week just like New York, but the energy is so different that you can hardly compare the two. New York is turning into a sit down and sip town while Hong Kong does just the opposite. Head out to Lan Kwai Fong and see the expat scene blowing up at any given time, on any day of the week. You’ll see people walking from bar to bar and club to club, drinks in hand; it’s totally legal in HK. Adding insult to New York’s injury, just about every bit of HK is connected via indoor malls, luxury hotels, and restaurants; you’ll be able to traverse the area in breezy air-conditioned comfort. And the nightlife hot spots don’t end with drinking; they’re also captivating cultural experiences. 24-hour art galleries entice the eyes while street markets target the other senses; tasty and fragrant fried bites and meticulously prepared meals line the streets. So walk the small winding streets of LKF and enjoy the food; poke your head into the loud windowless bars and clubs that litter the area, and marvel at the unique scene. It’s sure to be an electrifying experience. Absolutely no one thinks of nature when they think about Hong Kong. They think about the skyline, and the hordes of people, and that big boat with red sails that’s in practically every picture of the city. That’s definitely all there in heaps, but for every bar and hotel in the center, there’s an acre of untouched mountain path and pristine beach just waiting to be discovered. 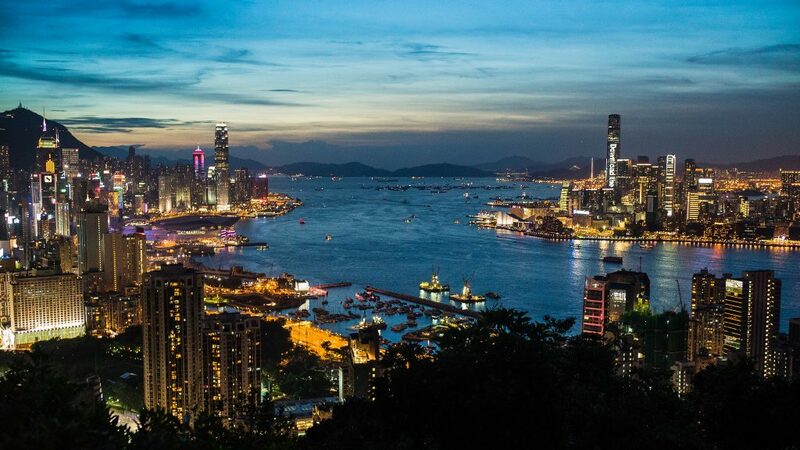 Hong Kongers are infatuated with their little island, not because of the city, but because the land, in and of itself, is stunning and breathtaking. If you find yourself craving a breath of fresh salt air, book it to Big Wave Bay and enjoy the relative seclusion of HK’s most pristine beach; you’ll even see a few surfers dropping in on the shore breaks that build up there. The locals love going hiking, and you might even be invited to go while you’re there. It’s a social activity as well as great exercise and fun. If you’re going by yourself, we recommend starting out at Ngon Ping and making your way to Tung Chung in Lantau; there are tons of side paths and hidden gems that make the route worthwhile. If you want to skip the hike and head straight for the photo op, then the iconic Peak Tram to Victoria Peak is a great option. Aside from the outdoors stuff, the city boasts a ton of attractions that don’t involve drinking. There are several activities listed on National Geographic’s “Fifty Places of a Lifetime” within HK; it’s safe to say that they’re worth checking out. 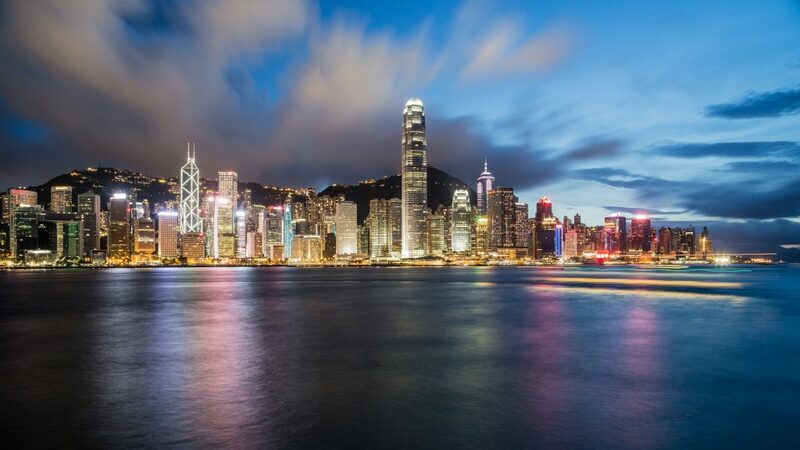 After you’ve hit all of the most important spots head back into town and enjoy the monasteries, the Mong Kok Flower Market, and do a bit of dawn Tai Chi with the locals. Whatever you do, just make sure you enjoy it. Equipped with its own Time Square and a treasure trove of other upscale shopping districts, this city has some awesome places to snag a few goodies before your private flight home. Causeway Bay is definitely the best place to go for knickknacks, apparel, and home décor. You’ll definitely want to swing by Hollywood Road for some contemporary Chinese art, or by the Central District for some boutique and global designer brands. Shopping is thirsty work, so you’re sure to build up an impressive appetite while out on the town. Look forward to that moment, because you’re in for a treat (or two or three). Watch out and plan ahead, because Hong Kong boasts a whopping sixty-one Michelin Starred restaurants – five of which actually have all three possible stars. The food in the city is international to a fault, and they’re quite proud of that fact. From traditional Chinese dishes to big juicy burgers and light French cuisine, there’s absolutely no limit to what you can find there; it all depends on what you’re craving! Hong Kong is one of the most important port cities in the world, home to Victoria Harbour, one of the world’s deepest natural marinas. There’s practically no way to not do business while you’re in the area. It’s a type of Silicon Valley meets Manhattan mix, and everyone’s hands seem to be grasping for a bit of everything. Sit down at a bar and look to your left; a tech CEO, to your right; a celebrity, and the bartender probably hikes with them both on the weekends. Everyone knows everybody and everyone wants more than what they have, and most of them are willing to do the work to get it. From some of the biggest companies on the planet to penny-scrounging startups and hungry entrepreneurs, there are plenty of reasons to charter a business jet to Hong Kong. China Mobile, Cnooc, Hutchinson Whampoa, AIA Group: they’re all based in this city. Not enough tech in that list for you? Try visiting the home operations of Cheer Studios, Garage, and Fuji Xerox Limited. 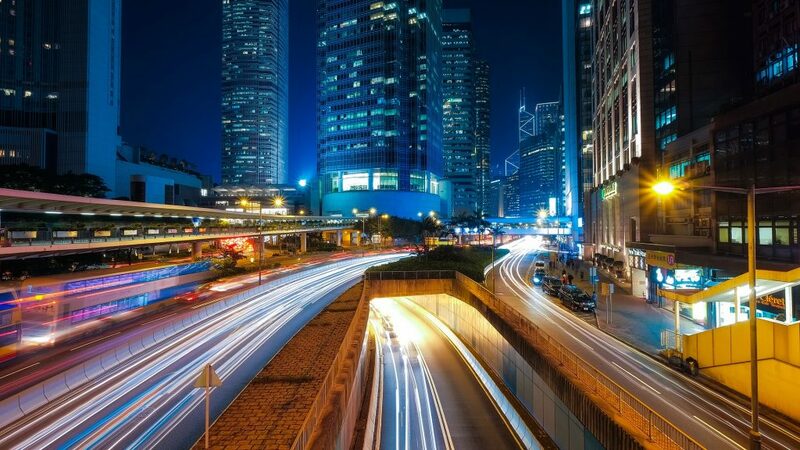 The point is that HK is one of the most important financial cities in the world, and maybe the most important in the east, and it’s waiting for you to come visit. Our Hong Kong Private Jet Charter team can help you do just that; we’ll take care of all the logistics issues and save you the trouble of flying commercial, so call now to book your luxury private flight to Hong Kong. If we had to pick one city to enjoy some luxury in, Hong Kong would be a top contender. Offering total comfort, obsequious service, and jaw-dropping amenities, the city’s hotels often seem to come straight out of a billionaire’s imagination. The hotels aren’t all chains either; there are tons of boutique and designer options that offer unique experiences, rather than the same old thing you’re used to. 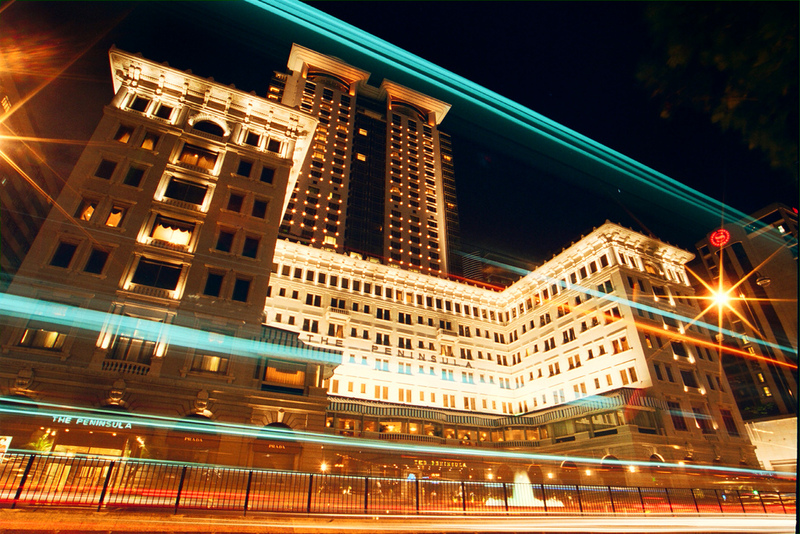 Though Air Charter Advisors is confident that you’ll have a great time in HK regardless of where you stay, the right hotel can really enhance your entire experience – so we’ve got a few suggestions. Our charter brokers have extensive experience with a wide variety of clientele, and they’ve used their clients’ feedback to come up with the following list. 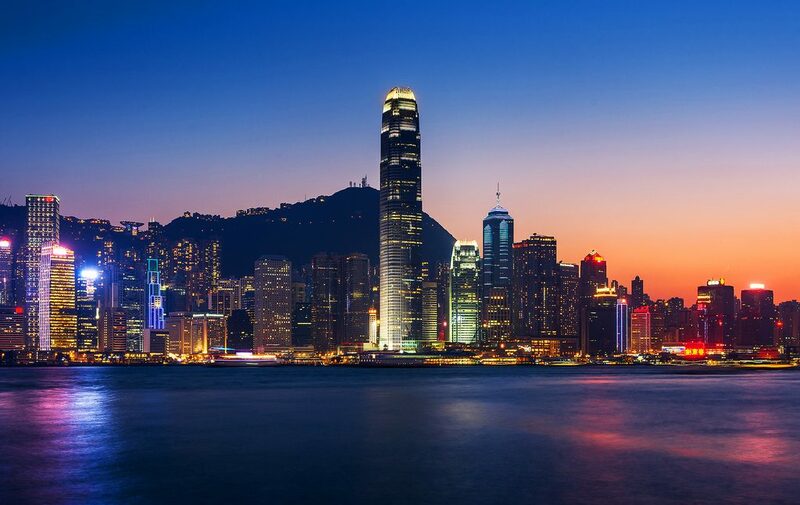 Based on jet charter client feedback and online reviews, our list of the best places to stay after a private flight to Hong Kong is a great place to start your hotel search; read on to check it out. Private jets for executive & leisure charter service to/from Hong Kong, China and neighboring areas of Southern China can utilize the following airports. Rent a private jet to Hong Kong International Airport (IATA: HKG, ICAO: VHHH), the city’s main airport located on the island of Chek Lap Kok, and colloquially known as HKIA and Chek Lap Kok Airport to avoid confusion with the former Kai Tak Airport. 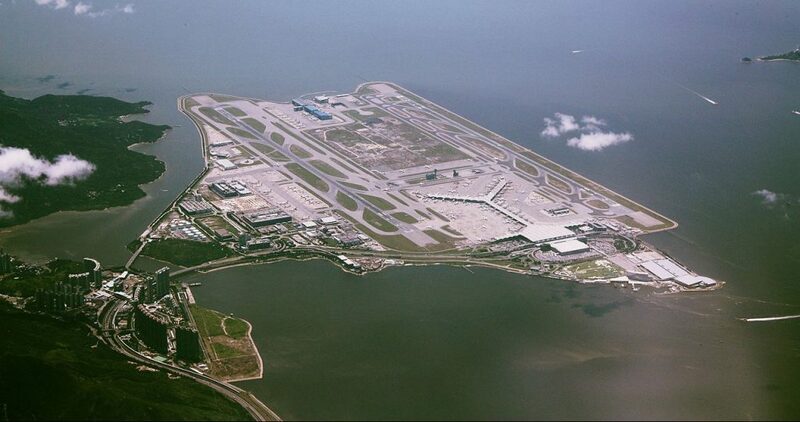 HKIA is an important piece to the economy in Hong Kong, employing nearly 65,000 people, and it’s an important regional trans-shipping hub and gateway for Mainland China and the rest of Asia. (HKG) Hong Kong Int’l is the busiest cargo airport in the world, surpassing Memphis International in 2010, and it consistently ranks as one of the busiest passenger airports in the world, handling around 70 million passengers annually. The passenger terminal is one of the largest in the world, but private jet travelers won’t have to get lost in the crowd. Client can arrive/depart quickly and discreetly though the Hong Kong Business Aviation Centre (BAC), an FBO located within the airport featuring its own terminal and facilities separate from the public terminal. The private terminal at (VHHH, HKG) Hong Kong International Airport offers services for executive and leisure travelers, including a passenger lounge, private rooms and showers, business facilities, ground handling, baggage handling, refueling, security, customs, flight planning, and hangars for private aircraft. Clients with business just north of Hong Kong can arrive at Shenzhen Bao’an International Airport (IATA: SZX, ICAO: ZGSZ), formerly known as Shenzhen Huangtian Airport, located in the city of Shenzhen 25 miles north of Hong Kong. Don’t let the short distance between HK and Shenzen fool you — there are only six land border crossings; Lok Ma Chau/Huanggang, Lok Ma Chau/Futian Kou’an, Lo Wu/Luohu, Sha Tau Kok/Shatoujiao, Man Kam To/Wenjindu and Shenzhen Wan, which is located at the end of the Hong Kong–Shenzhen Western Corridor (Shenzhen Bay Bridge), a long, elegant cable-stayed bridge spanning Shenzhen Bay. The area can become very, very congested, and it’s not a quick, easy hop over to Hong Kong — motor vehicles, railways and buses can often take hours to cross the border. The best options for executives needing to travel between the two cities is chartering a private helicopter, one of the most popular forms of executive air travel in the area. (ZGSZ, SZX) Shenzhen Bao’an International Airport handles approximately 40 million passengers through it’s massive, Massimiliano Fuksas-designed passenger terminal, featuring a beautiful, parametric design. You’ll get a nice view of the terminal as you approach, but private jet travelers skip the main terminal and use the private, 24-hour terminal offering luxury travel services to high-end, exclusive clientele and a variety of business jet services. Located opposite of Hong Kong across the Pearl River estuary, the Macau International Airport (IATA: MFM, ICAO: VMMC) is an international airport in Macau, an autonomous Chinese territory located at the eastern end of Taipa island — the airport’s 11,220-foot runway was actually built atop a strip of reclaimed land in the South China Sea, and is connected to the apron by two causeways. Macau was administered by the Portuguese from the mid-16th century until 1999 as the last remaining European colony in Asia. After becoming a Special Administrative Region (SAR) of the People’s Republic of China, the (VMMC, MFM) Macau International Airport has been a popular hub for traveling between China and Taiwan, as well as other destinations across mainland China and Southeast Asia. 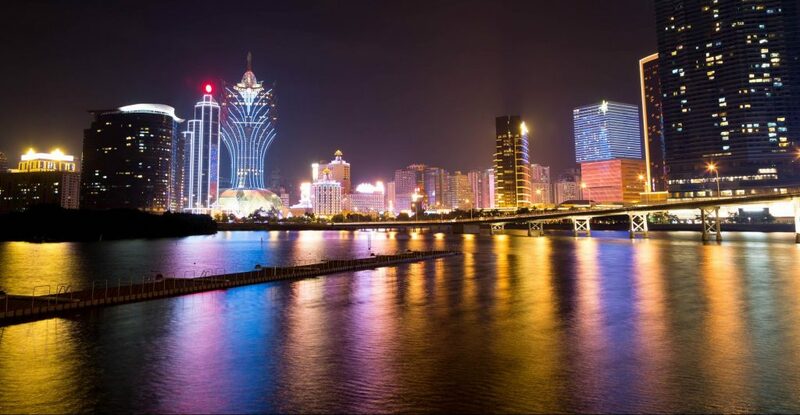 Located in one of the most densely populated areas in the world, Macau is a popular resort city, generating more gambling revenue than any other city around the world, including seven times (SEVEN TIMES!) more than “The Strip” in Las Vegas. Ferry boats carry the crowds to/from Hong Kong, albeit in a very time-consuming way; pair your charter flight to (MFM) Macau International with a private helicopter rental and visit locations throughout the Pearl River Delta in a matter of minutes. Request a Quote or give us a call at 1-888-987-5387 to speak with one of our Hong Kong Private Jet Charter agents for your next luxury vacation, business trip, or special event.